Sociocultural 관점에서 online teaching을 소개한 신간입니다. 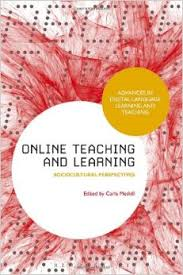 Book Description: Online Teaching and Learning shows how learning through the internet depends on complex human interactions for success. The text uses sociocultural theory as its foundational stance to empirically examine the dynamics of these interactions. It seeks to understand meaning making in all of its social, linguistic and cultural complexity. Each chapter examines how it is that culturally and historically situated meanings get negotiated through social mediation in online instructional venues. It extends the ways we think and talk about online teaching and learning.